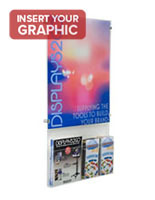 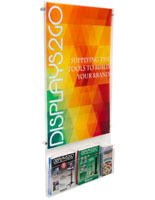 This 22” x 28” sign frame w/ adjustable pockets is a versatile wall mount fixture that stores two sizes of collateral publications in addition to the print display, with moveable peg dividers. 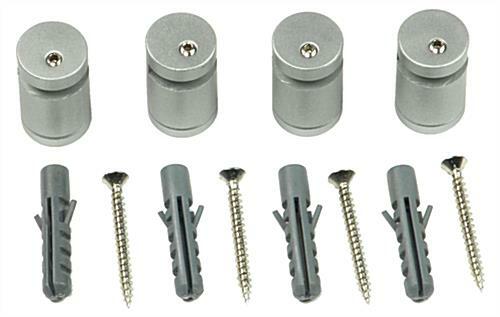 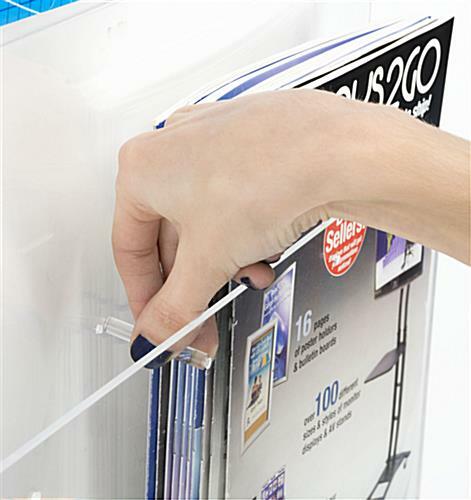 This poster holder features four silver side grip standoffs to secure it. 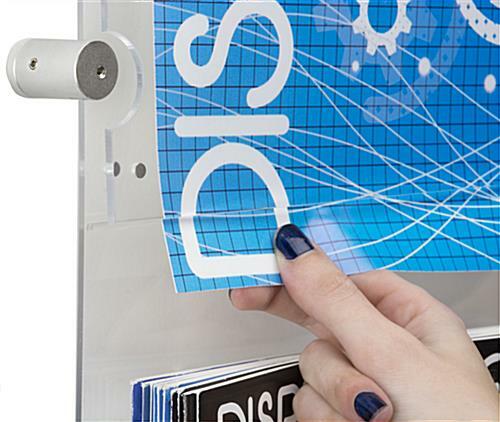 This acrylic literature display has button magnets to keep contents secure. 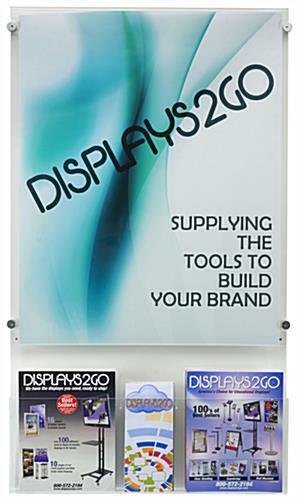 This 22” x 28” sign frame w/ adjustable pockets, also known as an advertising graphic holder, has slots for two sizes of collaterals: (5) 4” x 9” or (2) 8.5” x 11” size trifolds or catalogs. 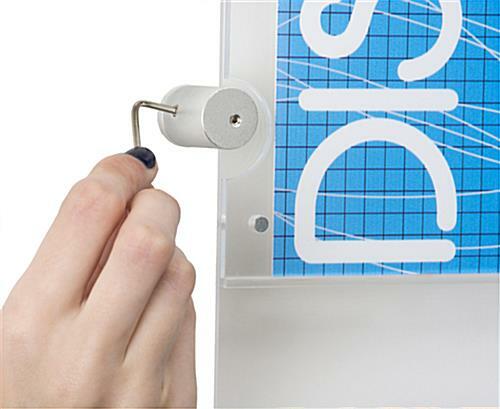 Installation of this signage system is easy with the included hardware. 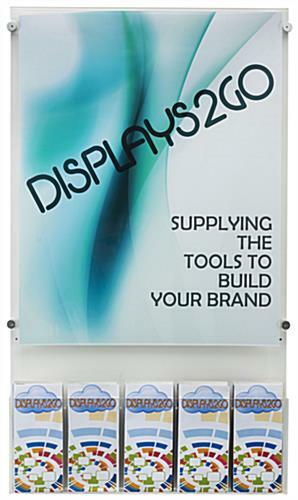 This clear plastic wall mount display puts all the focus on graphics to sell your business brand, cause, or goods-for-sale. 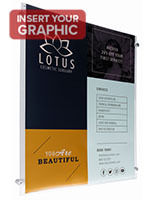 Buy this 22” x 28” sign frame w/ adjustable pockets in bulk for super-low savings from a website you can trust! 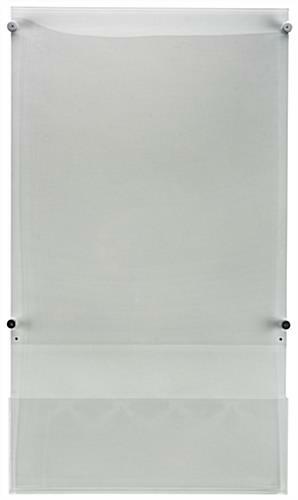 23.1" x 39.5" x 2.3"
22.9" x 8.9" x 2.0"